Yes, these were legitimate reactions I received from people when I told them I was going to, or went to Jordan, and when you are constantly surrounded by headlines involving the unrest in Syria and Iraq, two of the countries that Jordan borders, I don’t blame them for having these misconceptions. I’ve never been someone who judges a place based on what you see on the news. We’re a culture that is quick to make assumptions and jump to conclusions, before even knowing the full context of the story or situation. We see a shooting that happened in Mexico, or a kidnapping that happened in Thailand, and are quick to assume that these countries are no longer safe for us to visit. Yet, these same things happen in our own backyard every day. I’ve gone to Mexico on multiple occasions, people tell me they’d never travel there because they’ll get killed, when I went to Greece during the protests and riots in 2011, people questioned whether or not I should be visiting, despite that fact that I didn’t witness any unrest or feel unsafe while I was there. 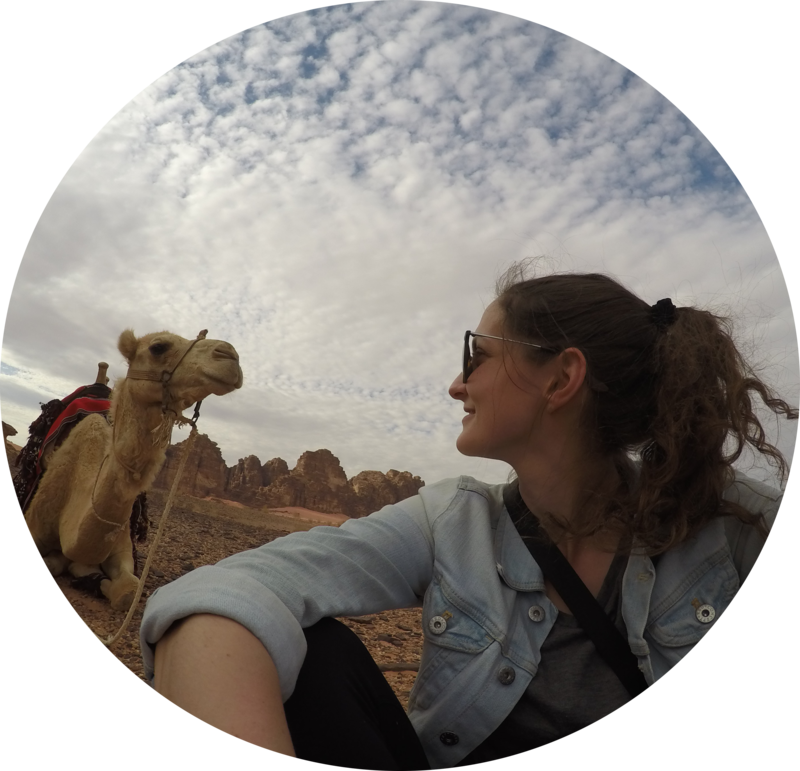 People are quick to generalize and stereotype cultures, religion and full parts of the world, and when visiting Jordan, I could see the affects these stereotypes were having on this beautiful country, and in fact, one that some people may be surprised that I found incredibly safe. Jordan actually ranked higher on the World Peace Index than the United States, and popular tourist destinations like Thailand, Peru and China. But due to it being located in the Middle East, people are assuming that it’s incredibly unsafe like its neighbours. The entire time I was traveling in Jordan, I felt as safe as I would back home. Although I was trying not to get influenced by other peoples opinions, I was still a bit nervous about visiting, just like I would be about visiting any country solo. 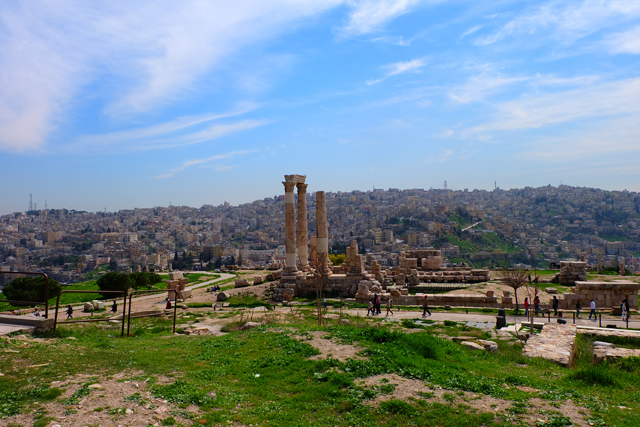 When I stepped out of the airport in Amman, Jordan’s capital city, I was surprised at how similar, yet foreign it felt in comparison to North America. Even though I was walking down the streets and seeing hardly any tourists, due to the decrease in tourism Jordan has seen in the recent years, I didn’t feel like a white girl walking around with “tourist” written on my forehead like you often do in a new country. The people that did take notice me, were usually the shop owners, and instead of trying to beg me to come buy something from their store, I got welcoming greetings and hellos. After speaking with my guide about the effects on tourism the Syrian Civil War has had, and how safe the country actually was, I realized pretty quickly that this country was stuck in the middle of a problem and fight that wasn’t even theirs. They were suffering because of their neighbours, and getting a reputation that wasn’t inline of what their country was actually like. Yes, the country has taken in million of Syrian refugees, but unless you visit the borders, or the refugee camps, you don’t see people living in tents on the side of the road everywhere you go, or fighter jets flying overhead like some oblivious people may assume. Everywhere I traveled in Jordan I was continually impressed by the security. The government has put in significant efforts to keep the country safe for tourists (and locals), and although some people may look at the multiple security checkpoints along the highway, or the security in front of your hotel as being a sign the country is unsafe, it’s actually quite the opposite. The increased security is for comfort, but also keeps Jordan as safe as humanly possible for tourists. It was because of this increased security that I felt at home, and felt more comfortable then even when I’ve traveled in countries in Europe, or places in North America. The security checkpoints while driving would make sure that the driver was part of an accredited agency. I remember one checkpoint, the security asked for my passport. After the officer looked at it sternly, which naturally made me nervous, he looked up and with a big smile and said: “Welcome to Jordan!”. I read everywhere before leaving about Middle Eastern hospitality and how welcoming and friendly locals were, and everything I read was entirely true. 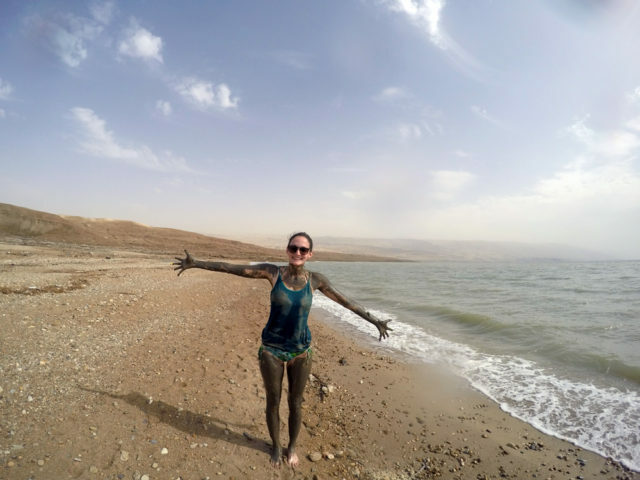 You don’t get weirded out when the museum owner asks if you want to have tea with him, or when the hotel shuttle driver offers to show you where to get the freshest mud at the Dead Sea. People are happy, welcoming and probably some of the nicest I’ve ever met in my travels. 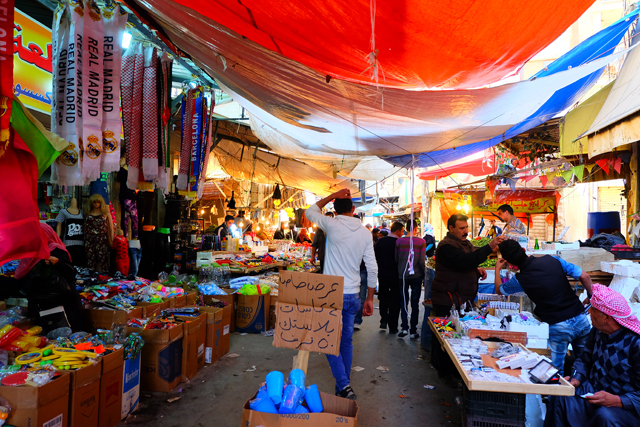 In my one week that I was in Jordan, I only had one point where I felt like I was in another country where locals bother you a bit more to visit their shops, or purchase their products and services. This was when I was at Petra, which is the centrepiece of Jordan, and their biggest tourist attraction. But my guide explained that usually, it wasn’t like that, but it’s because their daily visitors have gone from 6000+ a day to 500-600, and they’re desperate to try and make even a little bit of money to take home to their families. Not like this bothered me anyways, I’ve been to places like India where they’ll literally pick you out from a crowd of a million people because you promised them three days ago that you’d come back and visit their store. But this was a sad reality of a problem with the misconceptions of Jordan. These people are just trying to make ends meet in such a difficult time. I was sad to see such an incredible country that has so much to offer suffer the way it was suffering from the lack of tourism. As a visitor, you may not notice it, but speaking with locals was a reality check. People were missing an amazing part of this world, all because of something that wasn’t even happening in this country. 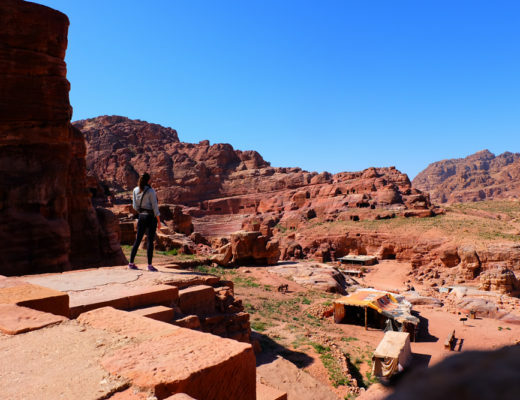 People were going to skip visiting one of the New Wonders of the World, Petra, or the countless UNESCO World Heritage Sites, including where Jesus was said to be baptized, and Moses was said to have died and been buried. People are going to take “Floating in the Dead Sea” or “Riding a camel in Wadi Rum” off their bucket lists, all because they “think” Jordan is unsafe. This to me, seems ridiculous! Think of it this way—if someone told you not to travel to the entire continent of North America because they felt it was unsafe due to 9/11 in 2001, or that you shouldn’t visit anywhere in Europe again because of the recent devastating attacks on Paris and Brussels. Would you not agree that that sounds a little absurd? I realize not every traveler is like me, someone who believes that you can’t judge a book by its cover, but making false accusations and generalizations of parts of the world without actually giving it a chance or educating yourself is blocking ourselves off from truly getting to know the magic and beauty that resides in our world that we live in. So I encourage you, treat countries like you’d treat people, with respect, and an open mind unless they prove you otherwise. What a insightful article. Jordan is one of my absolute favorite countries. 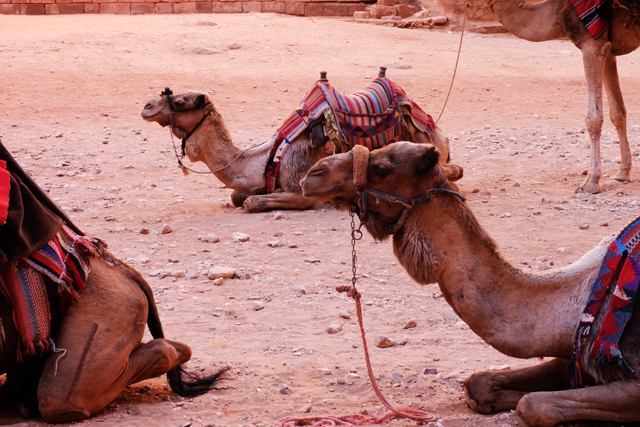 Jordan’s historical sites will overwhelm one’s senses. But for me, the people of Jordan are its richest treasure. I just returned back from a tour with my friends of the amazing and beautiful Jordan. I agree with everything you said. It’s absolutely beautiful and it’s people are just incredibly welcoming and nice, we all were overwhelmed with their generousity and kindness . 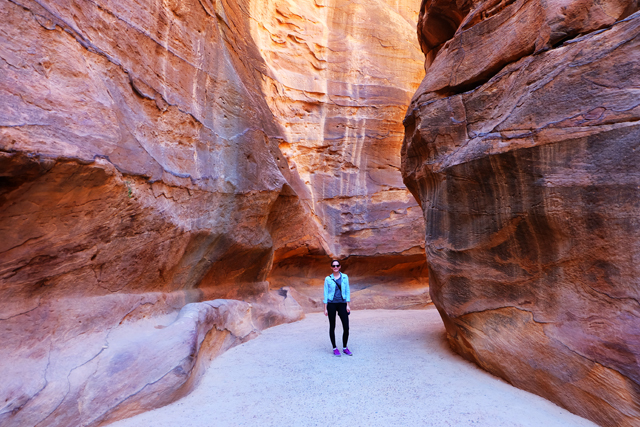 I have lived in Jordan for over forty years! Originally from Los Angeles, I couldn’t be happier here! I hope more people read your article and come to visit this amazing country! I have always felt safe here, even during stressful times. I feel much safer here than I ever do when I visit LA! Thank you for your genuinely honest article! Thank you so much for this! I leave for Jordan in a week and my parents and family have been trying to convince me to cancel and are so worried. Of course when everyone around you is so concerned it doesn’t matter how confident you are it starts to seep in. Reading this made me feel so much better, especially since your trip was relatively recent. I’ll definitely be showing them your post. Thank you again!